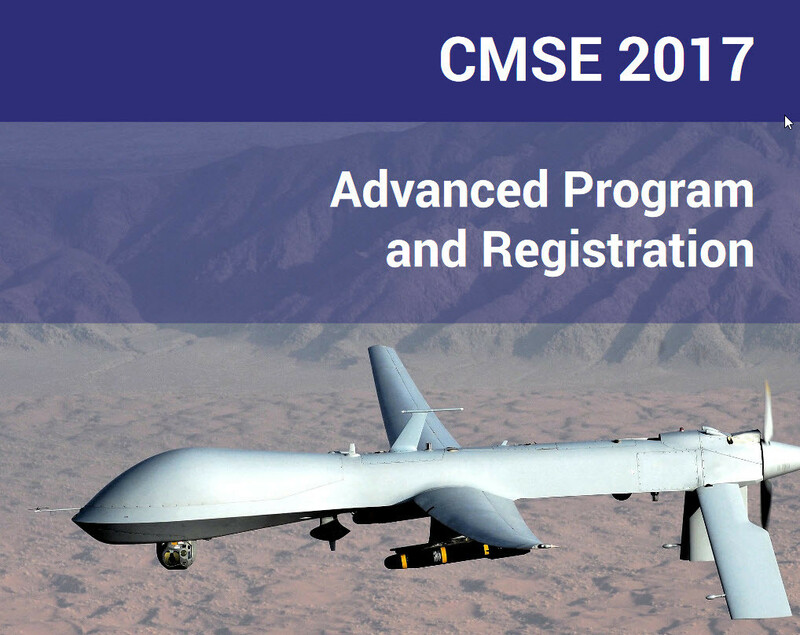 The CMSE Conference, Training and Exhibition promotes new technology and advancements in electronic components for use in military and space electronic systems. The DoD and NASA continue to emphasize the use of commercial electronics, where suitable, to drive down procurement and life cycle cost of military/ aerospace systems. Many new components are only available as advanced PEMS and COTS. This conference focuses on how to successfully incorporate these new technologies into the harsh environments of military and space systems, which often require ten or twenty year mission life. Two such thrust areas are copper wirebonding and the use of “non-hermetic” packaging in lieu of traditional hermetic packages. We have an entire session devoted to copper wire with peer selected talks from key industry experts. In addition to “non- hermetics” there are several presentations on the newly tightened MIL-STD-883 TM 1014 hermeticity test spec limits for class K hybrids and new leak testing technologies designed to meet tighter specs. A panel discussion is planned for this important topic of hermetic vs non-hermetic parts. The latest developments in polymer tantalum capacitors, BME MLCC are presented along with success stores and challenges of COTS insertion will be a major point of discussion at this year’s conference, as it has in the past. Day one is a full day of cutting edge educational seminars (dual track) designed to complement the speaker presentations scheduled on the following two days. These professional educational seminars are an important part of the CMSE tradition. CMSE was founded 20 years ago by Leon Hamiter, a retired NASA engineer. Recipients are requested to pass this Program to components engineers in your address book. After many successful conferences Leon has decided to step back from the chairman position and pass the torch so to speak, however Leon will remain active in helping to steer the conference in the right direction for many years to come. We thank Leon for his vision and service to the community. Personnel working in this field are encouraged to attend CMSE 2017 to learn about the new technology advancements and stay current with industry trends.